The Southern Elephant Seals (Mirounga leonina) are the largest of all seals with males reaching 4-5 m in length and 3 500 kg in weight (females are smaller – usually under 3 m in length and only 500 kg in weight). Southern elephant seals are grayish brown in colour and are covered with thick blubber. 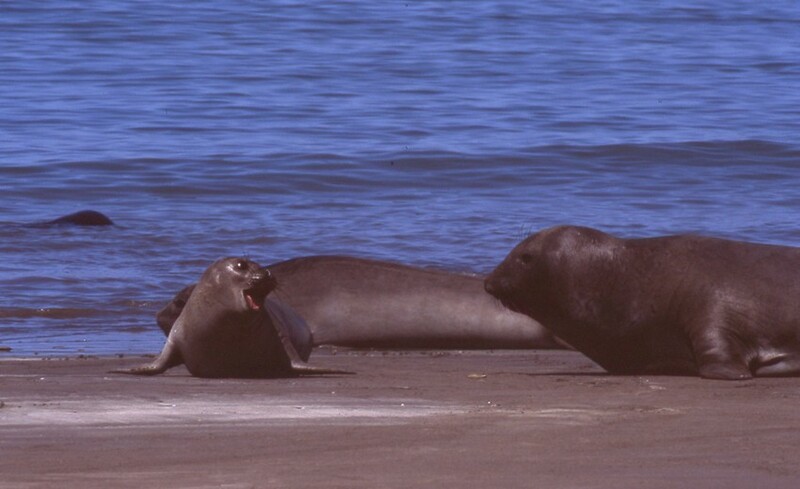 Mature males have a large ‘trunk’, or proboscis which is used to amplify the sounds they make and, together with their big grey bodies, give rise to their name ‘elephant’ seal. 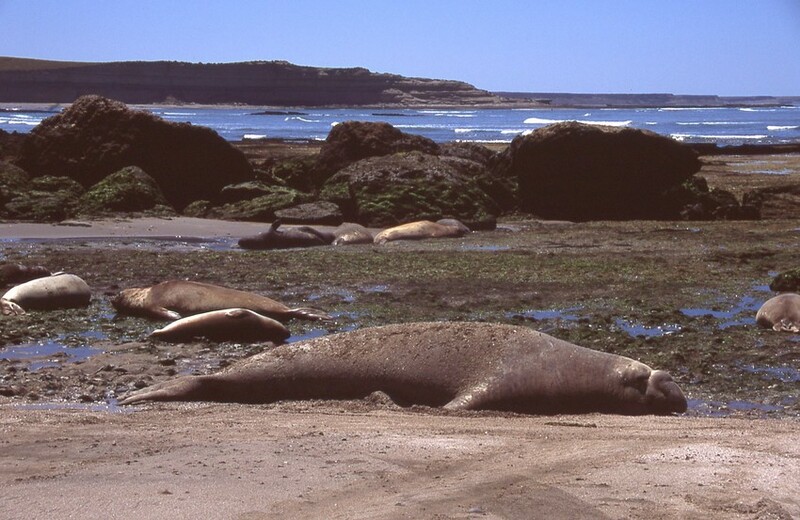 Southern Elephant Seals migrate twice a year between foraging grounds and isolated haulout sites, at which they are born and where they breed in spring. In the breeding season, adult females will haul out in large aggregations that may contain up to a thousand animals. They stay on land for about a month, giving birth to a single pup, and suckling it for three weeks. Mating takes place shortly before the pup is weaned and the adult female returns to the sea a few days later. Access to all females in one breeding aggregation is defended by a dominant adult male, though in larger groups less dominant males will manage to mate on occasion. They are found throughout the southern oceans. They mostly come to land on Subantarctic and Antarctic islands, but also in southern Argentina and Chile. Southern elephant seals were hunted relentlessly for fur and oil throughout the 18th and 19th centuries, but with protection numbers have recovered dramatically. The current population is estimated at 650,000 individuals but during the past 40 years there have been declines which are believed to be due to population overshooting the maximum sustainable population size following the end of commercial sealing. Populations are now thought to be stable.